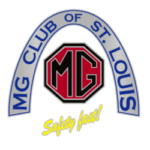 The club issues a monthly electronic newsletter, The St. Louis Metro Gazette, which is available to all current members in good standing. We subsequently (after 2-3 months) make these available on the web site for reference. For quick reference the current year’s newsletters are available below from the quick link drop down menu below. For complete access to the entire archive of the clubs newsletters, which goes back to 1999, please use the sub menus above to go to the year you want or use the site search search function to locate newsletter articles for those years which we have added the table of contents info to the listing.